Trader Joe’s has some of the most loyal and vocal (not to mention musical) customers in the world. But the notoriously tight-lipped grocery chain won’t tell you how they consistently deliver such a great customer experience. We found a marketing executive so determined to learn their secrets that he took a job bagging groceries there. What is cookie butter, anyway? Why do we expect so much out of the mundane task of grocery shopping? According to Relate, it's all about the experience economy. Hey! This is a brand new business podcast called Repeat Customer. I’m gonna tell you all about it, but first you have to listen to this song written by a… well… written by a pretty serious repeat customer. I'm a Denver native, I was born and raised right here...But I've lived around the country too, from the west coast to the east. And there's just one thing we're missing here, so let me say my piece. But we still don't have folks selling food in Hawaiian shirts. She's camping out. At Trader Joe's. At Trader Joe's. Waiting for the day the stores will finally open because I love it so, can't wait no more. A few years ago, when Julie found out Trader Joe’s was coming to her hometown—Denver, Colorado—she went a little nuts. There was this song and a video, and she performed a live concert across the street. ...Trader Joe's themed concert. ... It was just a party, it was just really, really fun. Did people think you were a bit crazy? Yeah, but that never stopped me before… anybody who had lived in a town that had Trader Joe's and then moved to Denver, we all were in on the secret. My friends who had never lived there they're like, "We don't get it… Like how can we be excited about a grocery store? And that’s a good question. Trader Joe’s is a grocery store! Buying groceries is not supposed to be fun? Well, not according to Julie. The vibe there is definitely unique. First of all...everybody who works there is wearing their Hawaiian shirts. Instead of the speaker, "We need clean up in aisle three," they've got these bells up front that they ring… so it’s super old school and simple...Maybe because it's Colorado, my neighborhood one, has a tent setup and pictures of like wildlife on the walls, there's always a stuffed animal, in mine, that they hide for the kids...they make it fun. It's just a little more friendly, I would say. 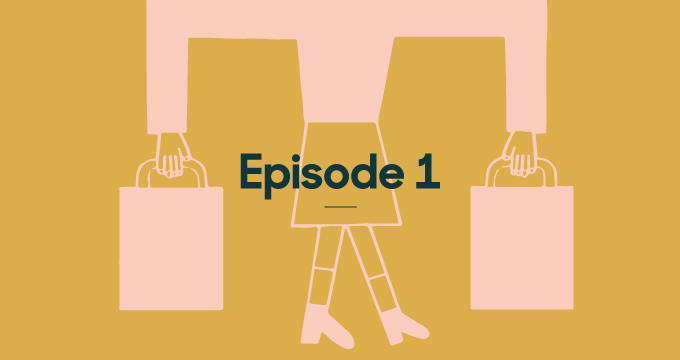 Welcome to...Repeat Customer...an original podcast from Zendesk about amazing customer experiences...how companies create them...and why their superfans love them so much. My name is Mio Adilman. Sometimes I’m a repeat customer, and sometimes I’m a really cranky customer. Like, the worst. I know what I like and what I don’t like. But here’s the thing: I don’t always know why. On this show I’m going to break it down and figure out why some businesses create awesome customer experiences, while others totally fail. Because that’s what Zendesk is all about. They are a customer service and engagement platform, and they are, you could say, kind of obsessed with what goes into great customer experience. So we’re gonna start with Trader Joe’s because they’ve taken this really mundane thing we all do called grocery shopping, and turned it into a customer experience that excites people. Like, Julie wrote a song about the place! But that level of fandom isn’t even that unusual for Trader Joe’s. So, what’s their secret? And believe me, it’s a secret that the company doesn’t want to share. The first Trader Joe’s opened in 1967 in California. Started by a guy named Joe Coulombe. He was inspired by the Tiki hut craze of the 50s and 60s which explains why the employees wear Hawaiian shirts. Joe also saw that more Americans were vacationing abroad and returning with food and wine from their travels. Stuff they couldn’t get at home. Which explains the idea of a Trader, Trader Joe, on the high seas searching for exotic foods. Except in this case the Trader brings his bounty back to sell in a store on what is usually a freeway of some kind. Anyway, In 1979, a German company bought the small chain of stores from Joe, then expanded it to almost 500 stores in the 90s and 2000s. But somehow their stores retain a homey, neighborhood feel. I actually thought it was a small, local company...You don't see big national brand advertising coming from these guys…I started to pay a little more attention and, eventually, I realized, like, "Wow, it's actually not a small company...The more I dug into it, though, the more I would run into this kind of barrier, and the barrier is that the company itself is very secretive. That’s Mark Gardiner. He runs a marketing company called Revolutionary Old Idea, and he writes books about business. And I know what he’s talking about, about them being secretive, because Trader Joe’s refused to talk to me. They don’t talk to anyone. So, luckily, I found Mark. Years ago, he went to a Trader Joe’s in California and became fascinated by its success. And he was, like, I gotta know how this works which led to a sort of crazy story you’re gonna hear in a minute. But first let’s review what we do know about the grocery chain. Okay, first of all, the stores are all super busy. That store was crowded all the time. The parking lot was a zoo all the time. And eighty percent of the things you can buy at Trader Joe’s are sold under Trader Joe’s own label for a good price. And some of them are quite unique. People love the Trader Joe's cookie butter... it's like ground up sugar cookies that you'd treat like peanut butter if you weren't worried about your glycemic index. Cookies ground up into a cookie butter is just weird, and maybe really tasty, but sadly, you can’t live on just cookie butter. So Trader Joe’s also has all of the regular grocery stuff. But here’s what Mark thought of that stuff. I'd look at the food and I'd look at the wine and I'd look at the produce and I'm like, "I don't understand why this place is so popular." It's not bad. The value is pretty good, but it doesn't justify the cult-like way that people sort of adored the brand. So what is it? Why do people freak out for Trader Joe’s? The profound experience that people have shopping at Trader Joe's, almost everyone talks about the staff. It’s the defining difference between Trader Joe's and so many other stores. They're super friendly… and it's always, “Hi how are you doing? Where have you been?” Oh you had this happen? Our one employee that we talk to all the time knew we were celebrating so she went to the flower department and, gave us a bouquet of flowers. That’s Sandy Shelly. She and her family live in Pittsburgh. We’re gonna hear more from them in a bit. But the interesting thing, is that Sandy’s customer experience of Trader Joe’s in Pittsburgh is almost word for word the same as Julie’s in Denver. In every Trader Joe’s you will find the same, impossibly cheerful, chatty, Hawaiian shirt wearing employees. All of them really stoked to help you buy groceries. I have always felt that the experience that customers have with the front-line retail staff is really very, very powerful in terms of how the brand works. So this is the first lesson. And it doesn’t seem like rocket science. Good customer service. We all want it. But how does a company with 500 stores achieve it across the board? And how do they do it in a way that’s authentic? As someone who had worked in retail marketing for years, Mark couldn’t figure it out. But he had to know. I thought, "You know? I'm going to just apply for a job... I filled out an application for a $12.00 an hour job in which I said, "My past experience includes being a Vice President of Marketing of a $200,000,000.00 retail chain. I'm the author of five books." They hired me. Despite his hugely overqualified resume, Trader Joe’s hired Mark to bag groceries, operate the cash and stock shelves at one of their new stores in Kansas City. And we had 10 days of training, which is really pretty shocking, considering that you're a bunch of 12-dollar-an-hour employees in a grocery store. But, at the very beginning of that...I had this profound experience that made me realize, wow, this is different. It starts with everyone introducing themselves. Now, we've all heard these stories about how people fear public speaking more than death. But in that group of 50 people, all the hands went up. It was like, pick me, pick me, I can't wait to tell you about me..The next really profound thing that happened after realizing, wow, these people are really not a random group of people. These people are all naturally empathetic...they want to listen to other people talking about themselves, they want to have conversations with other people. Talkative people who are also good at listening? This sounds like a job description for a therapist, not a grocery attendant. Same for the training. They're doing all this very social role playing, fun role playing stuff. [where one person is a crew member and the other person's gonna pretend to be a shopper. And that person's gonna pick up a bag of dog food and put it in their cart, and the crew member will say, oh look, you've got dog food. What kind of dog do you have? Let me show you a picture of my dog. And I'm watching all this, and thinking, well, all this is fun, but you guys know I don't know how to operate a cash register, right? What they do is, they hire for attitude. And that's really important to the company. And then, they kind of barely train for aptitude. Hmm...hire for attitude, train for aptitude. And then what? The next thing that they do is, they actually go to a lot of trouble to maximize encounters between the staff and customers. … by doing things like stocking the shelves at peak times in the store...Most grocery stores stock the shelves when the store is closed… but at Trader Joe's, you actually want those encounters… so the cliché and the training was, you should have your head on a swivel. And if a customer looks like they can't find something, you should ask them if you can help them. If the customer just makes eye contact, you should say hello to them. Maximize customer encounters with a carefully selected group of highly social, happy people. It’s like going to a cocktail party, except you’re pushing a shopping cart. That's scary, because you're going to empower your lowest level employees to do that stuff. You have to trust them, but the thing is, here's why it shouldn't be as scary. You are already empowering your lowest level employees to hurt your brand. You can have a great product, you can have a great price, you can have a fantastic store, and if the employee that your customer deals with is surly or bad tempered or rude, your brand is going to be ruined. So you're already empowering your employees to hurt your brand, so why not empower them to help it? So that’s what Mark Gardiner did for a year, working at Trader Joe’s. And then he decided to share what he had learned. I wrote a book called "Build a Brand Like Trader Joe's". Mark is going to reveal more of what he learned behind the scenes at Trader Joe’s, but let’s talk about this customer service thing for a moment. Because, these days, Trader Joe’s isn’t the only company with a reputation for great staff doing great customer service. I’m thinking about Southwest Airlines, Ace Hardware, Apple. And the word “empathy” gets used a lot when talking about the customer experience. I mean this is a fascinating inside look at Trader Joe’s hiring and training process. But there’s more to Trader Joe’s than just its front line staff. There is much more you might not see, or rather you might see it, but not understand how it affects the rest of your shopping experience. In order to understand this less obvious piece, let’s go back in time to the rise of the modern grocery store. We were living in an era when the new-fangled idea was the supermarket and we take for granted that word supermarket. But that was a pretty big innovation at the time. This is Kevin Kelley. He runs Shook Kelley. Shook Kelley is a strategy and a design firm. Among other things, Kevin studies supermarkets. You might have known about people like this. I did not. It's when grocery stores went from little tiny main street stores to more suburban models and started offering a lot more products… there was a magic number we use, which is 36 9. And that 36 9 meant a lot of grocery stores were around 36,900 square feet. A lot of people liked that size, and that was considered big...starting to hit late 80s, early 90s. But then that already-changing supermarket experience started to change even more. And they went from there to 50 to 60 to 70 to 100,000 square feet. I think everybody was chasing market and they were trying to grow, and one of the ways they could grow is to offer more. And they started getting as big to offer plastic swimming pools, and patio furniture, and there was almost no limit to that. From a customer experience perspective, my initial thought is, "That's great because you only have to go to one place." Yeah, there's a wide variety of issues for both customers, and the industry. The biggest one for a customer was our bandwidth, mentally and biologically and emotionally, and what was happening was we could only absorb so much shopping before we wore out. You'll see all of that shut down at what we call the front end of stores. The checkout… you'll see good sainted people get upset about somebody in front of them not closing the gap. Or the cashier leaves the register and people just throw up their arms. I believe you're describing me at IKEA, every single time I go there. Supermarkets thought they were providing their customers with the ultimate experience. Trader Joe’s had other ideas. Trader Joe's, doesn't jump on the bandwagon and go up, they start to think, "Hey, there's something to this getting small." they started locating across the street from big giant battleships,which is what we call the parasite on the whale… and they picked the site that nobody wanted because it wasn't big enough for anything except a gas station or a flower shop, and they built these little no frills, aw shucks, little locations. They have wood paneling on the stores, handwritten signs... Hawaiian shirts untucked which was a big no-no in the '90s. This happened subconsciously in your mind, too, often times as you lookat both stores, you literally see the big store on the left and the small store on the right, and you go, "I think I'll go there." Maybe we were subconsciously reminded of that older customer experience of shopping at our neighborhood grocery stores. Another thing that the mainstream industry missed was… their attempt at being good to customers is just doing whatever the customer says. Every time a customer comes into a traditional grocery store, particularly in the '90s, and said, "I don't understand why you don't have these olive or these pickles," they go, "We'll get it for you." It didn't take long, a couple of years, you'd have 60, 70 olives or a hundred different pickles which reaches that Paradox of Choice. And this is a key point. The paradox of choice. Or the tyranny of choice as Mark Gardiner puts it. Paradox, tyranny. I can’t choose. People think they want a lot of choices. And then, if people go and shop in a smaller store with a much smaller product selection… they don't necessarily even know why they like that more, but it's less stressful. A typical supermarket would have 40 to 50,000 SKUs, stock-keeping units. A Trader Joe's store would typically have about 4,000, so only about 10% of the total number of products, and, in Trader Joe's, almost everything is labeled Trader Joe's. And this is another key point. Really what the customer wanted...they just want you to tell them what is the best pickle. What's great about going into Trader Joe's is they're very clear about: We as the expert have curated ... around the mythology of the trader and the sailor, they give you this impression that works that we've scoured the Earth, and we have picked the best olives for you or the best pickles for you. So unlike in most large supermarkets where the less expensive private label products are seen as inferior, the very affordable Trader Joe’s brands are perceived as curated, special. If you love the store… it changes the way it tastes. We are not completely rational animals… right? People love Two-Buck Chuck. Really, as a wine drinker, I could rest my case right there. In case you haven’t heard about it, Two Buck Chuck is a two dollar bottle of wine. No comment. But this psychology was perfect for a whole set of middle class customers who wanted a distinct supermarket experience with some novelty products and, also, some healthy choices. It’s interesting to note that as Trader Joe’s emerged, so did Whole Foods. Like Whole Foods, Trader Joe’s offers a lot of organic and alternative diet options. But they offer totally different experiences. So there were a lot of very intelligent, socially, culturally aware consumers that just couldn't stomach the cost of Whole Foods. And, Whole Foods continued to expand. Stores got bigger, shelves got fuller. Just like the big supermarkets chains. But, Trader Joe’s, has very carefully kept it small. So, if they're gonna introduce a new product, then something else is gonna leave. Customers have their product that they love, and then, one day they walk into the store and they just say, well, it was canceled. Sorry, you're never gonna get that again. What is so profound is they let go of markets every day. That letting go is a discipline that I rarely see in other grocery stores, and actually, frankly, I rarely see it in retail. But there’s an upside to this ruthless product count. You could call it the paradox of less choice. And so they started stocking their stores with these great little finds, and they started developing a customer that actually enjoyed the hunt. How do I get to do an adventure with my food? How can I go out there and try different things? Trader Joe's was one of the first traditional grocery stores out there that offer Filipino beer. A lot of Americans hadn't tried Filipino beer… They're constantly rotating those items and constantly moving things around to give you the sense that there's a lot of variety. And give you a cultural currency with your friends.You know how cool it is to go to a party and go, "Have you ever tried this Filipino beer before?" Okay so less olives, means more room to try out new stuff. That Trader Joe on the high seas can bring back Filipino beer, and his customers get more of an adventure. Uh let me see here. It's hard to remember everything you eat, man. One of the things I really liked was they had Trader Joe's Yellow Jackfruit Curry with Jasmine Rice, which was actually really fantastic. The sauce was really good. It was a good example of Trader Joe's introducing something to people who might not be too familiar with it. Would you call yourself a super fan? I think that that would be a fair assessment. I’ve traveled to Pittsburgh to visit Russ Shelly, and his partner Sandy, the woman you heard at the beginning of this show, because they aren’t your average superfans. Like Julie, that woman who wrote the song about Trader Joe’s, Russ is a very vocal fan. I'm one of the co-writers for a blog called whatsgoodattraderjoes.com. Whatsgoodattraderjoes.com is a review site that we just try to review all of the different items that you can come across at a Trader Joe's. How many Trader Joe's items have you reviewed? Let's see, the blog's been going on for seven and a half years or so at this point, and we have reviewed over 1,100 unique items. Eleven hundred Trader Joe’s products! I mean come on. This is just a hobby for Russ. But at last count, Russ’s blog was getting 150,000 views a month. Trader Joe’s doesn’t need to advertise thanks to that action and, I mean, there’s countless fan pages on Facebook and Instagram. So I haven’t come to Pittsburgh to just listen to Russ talk about his blog. We could’ve done that on the phone. I’ve come here because I have my own Trader Joe’s secret. So, this might sound crazy to you, but I've never been to a Trader Joe's. I think you've been missing out man. we gotta go. There’s no Trader Joe’s where I live. I mean, I know many people who’ve been and they tell me they love it. But now, after hearing Mark and Kevin describe exactly how Trader Joe’s actually transformed the supermarket customer experience, I have to see it for myself. Because there’s still a part of me that’s, like, come on guys, this is just groceries. So I hop in Russ and Sandy’s car. When's the next time you're reviewing something? We need to write a review for tonight. Definitely going to be looking for the new blueberry lavender almond beverage. I think that’s gonna be our target. Okay I got the cart. This is a very small store. (bell sound) This is way smaller than I thought ... What's that bell? Somebody just rang a bell. Yeah, they have bells here instead of intercoms to signal employees to different needs. For this show, I talked to people across the country about their own local Trader Joe’s. So I wasn’t exactly sure what to expect. But what I found was everything as it had been described in every location. Small store which still seemed really spacious, friendly helpful staff, tasty sample station, no-questions-asked return policy, Trader Joe’s this, Trader Joe’s that. It was nice. Like, everyone seemed very relaxed. And even though I knew there were, like, only ten percent of the amount of things in a regular supermarket, there seemed to be everything I would need. I wasn’t missing the 60 different kinds of olives. And, despite the low product count, there was a bunch of stuff I’ve never seen before. What are the shooting stars? It's pop rocks on a cookie. I’m sort of surprised by all of the sweet stuff. Basically chocolate-covered everything. I mean, cookie butters of all kinds. A cookie and cocoa swirl cookie butter. You know before this came around, I would actually get Nutella and cookie butter and mix them together? So I could get the two of them in one jar. I’m just along for the ride. But the Shellys are actually grocery shopping. They’re also looking for new stuff to review. You were looking for the lavender blueberry almond milk? You were looking for something to review? You got the peach Bellini jam, which actually has Prosecco in it. About to have some fun now. Thank you very much for showing me around Trader Joe’s. It was really nice to meet you and to do this. I don't normally got to a grocery store the first time I've met somebody. Okay. Well, usually we wait until at least the second time ourselves. So I leave the Shellys in the Trader Joe’s parking lot. Their shopping bag is full of healthy veggies, cheese and snacks. And mine, well, mine is full of just a bunch of sweet packaged baked goods. But hey—waddya gonna do? As I walk away, I wonder about a growing new customer experience when it comes to grocery shopping. With Amazon’s purchase of Whole Foods, delivery means you don’t have to go to the supermarket anymore. But Mark Gardiner thinks Trader Joe’s is gonna be ok.
Amongst grocery stores, Trader Joe's is probably extremely well-positioned to preserve its share because there are this group of customers who think it's fun to go there. So fun that they are even willing to sing about buying groceries. And I kind of get it now. And I'm camping out. She's camping out. At Trader Joe's. At Trader Joe's. Waiting for the day these stores will finally open because I love it so, can't wait no more. Can't wait no more! Lemme in the door. Let her in the door. Got some money in my pocket, gonna buy out all the chocolate, waiting for me in this store.